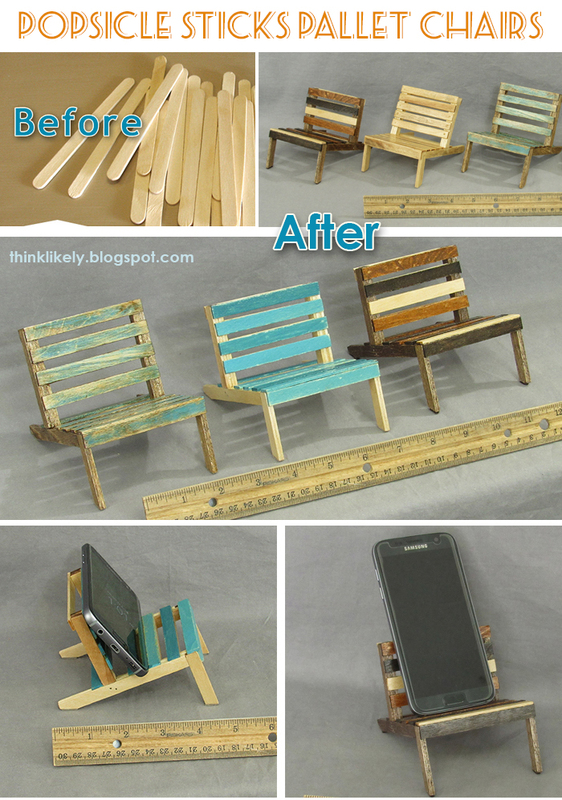 think likely: More mini pallet chairs! I've made several more miniature pallet chairs. I just love mini things. My first "proto-type" pallet chairs can be seen -here- in an earlier post. You can see more photos of these new popsicle stick chairs here at my -Etsy shop-. I use one of my original chairs as a cell phone stand in my office and another chair as cute bookshelf decor. I love trying to create, design, and craft home accessories. Sometimes my projects work. Sometimes they don't. In any case, I like the process and get excited when a creation succeeds! Decorating is all about trial and error and eventual success!